Killadysert takes its name from a hermitage of St Murthaile’s. there are remains of a medieval parish church with dwelling-tower. 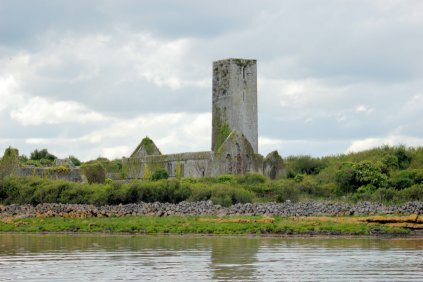 To the East, on Inis Gad (Canon Island) in the Fergus estuary, are the remains of St Mary’s Priory, a house of Canons Regular of St Augustine. They stand inside cashel (site of an early monastery). King Donal Mor O Brien of Thomond is claimed as the founder of the priory. The friary-type, nave-and-chancel church is early 13th century and the tower, porch and chapels are 15th century. Parts of the East claustral range are early 13th century. The remainder, like the cloister ambulatories and the South range is early 15th century. Killadysert is a hidden gem and worth a visit on your Ireland tours.